The novels in the Selkirk Stories series draw their inspiration from stories of the early settlers told her by family members. Her paternal grandmother, who lived to the age of 106 years, told her the story of the marriage proposal of her own grandparents. That story became the germ of Mattie’s Story. 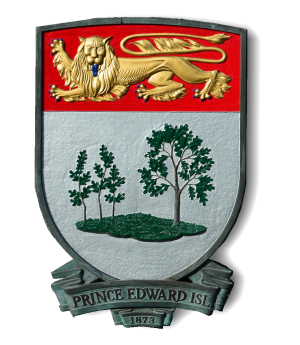 Her late Uncle Harold (her father’s brother) told her the legend of Anne Beaton’s hollow in eastern Prince Edward Island, where a gruesome murder took place during the lifetime of Sir Andrew MacPhail (who, as the story goes, requested a personal tour of the murder scene). That legend is the germ of Anna’s Secret, which Margaret has set in the fictional community she created in Mattie’s Story. Her uncle also told her the story of “the girl who stayed behind” on Skye and refused to accompany the rest of the settlers who came to Prince Edward Island in 1803. That story lies behind An Irregular Marriage, whose protagonist is also prominent, but as an elderly settler, in Anna’s Secret. Margaret’s nursing career, and in particular her work at the Provincial Home for the Aged, inspired her Haunted PEI novels. Molly, the protagonist of Shades of Molly, the first novel in the series, is a composite of the irascible but loveable women Margaret cared for as a nurse. Molly’s spirit friends, and her adventures helping an Island ghost-busting team in subsequent novels, arise from Margaret’s interest in the paranormal and the haunted history of the province. formats (Kindle or Kobo editions). They are also available in bookstores on Prince Edward Island.